Home You n News Ghen Ghen!!! It's Oscar Pistorius Day...GUILTY OR NOT?! Ghen Ghen!!! 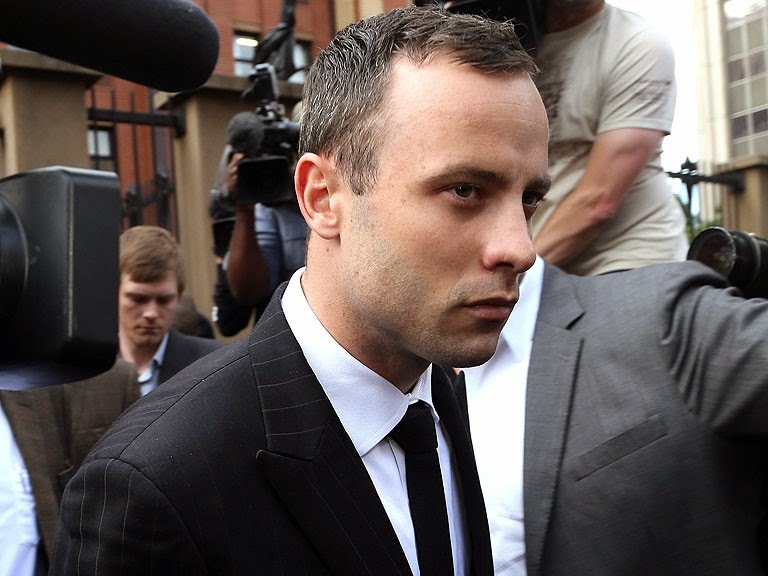 It's Oscar Pistorius Day...GUILTY OR NOT?! O my!!!! today's Oscar Pistorius day. seriously, it's a day in which Judge Thokozile Masipa takes center stage as the most famous person on TV right now. Talk about pressure ... has she managed to sleep in the past few weeks? What does she think about as she dozes off? She's in a tight-fit situation because any decision she makes will have it's staunch critics. They say it could take her four days to deliver her verdict ... something like that ... I've never understood how judges manage to compile so much in their verdicts. I imagine she'll spend a lot of time on Oscar's mental health and it's impact on the case - I haven't watched the court case closely but from what I've seen it's been the most dominant through line of things. Will it impact on her verdict? Should it? As for what her decision should be ... I believe he's guilty because he shot Reeva. Everyone knows it and he's admitted it. Whether he mistook her for an intruder or not is besides the point - he took a life when his life wasn't in danger. Throughout proceedings I've been troubled by the fact that he hasn't been charged with shooting Reeva but with premeditated murder. What happens if he's found Not guilty of premeditated murder? Can he be sentenced for shooting her or will he go free? If Judge Masipa finds there isn't enough evidence for premeditated murder then she could deliver a culpable homicide verdict instead. It has a lighter sentence than premeditated murder but at least it exists.